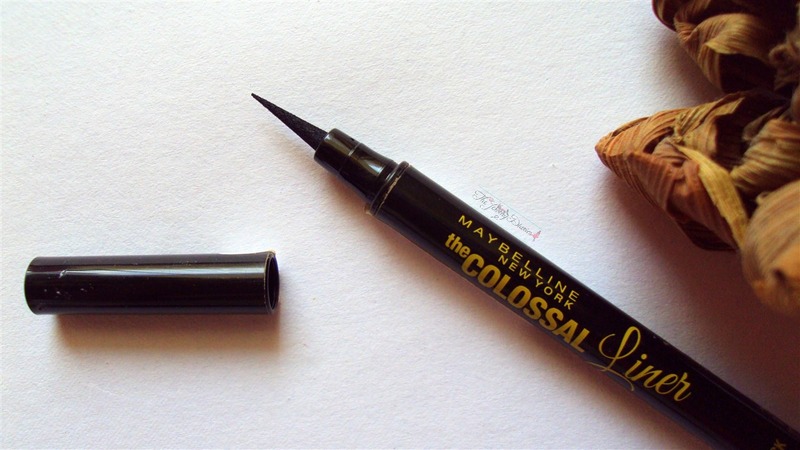 Today, I bring the first eye product review on TJD by me 😀 It’s Maybelline the Colossal Liner in Black! 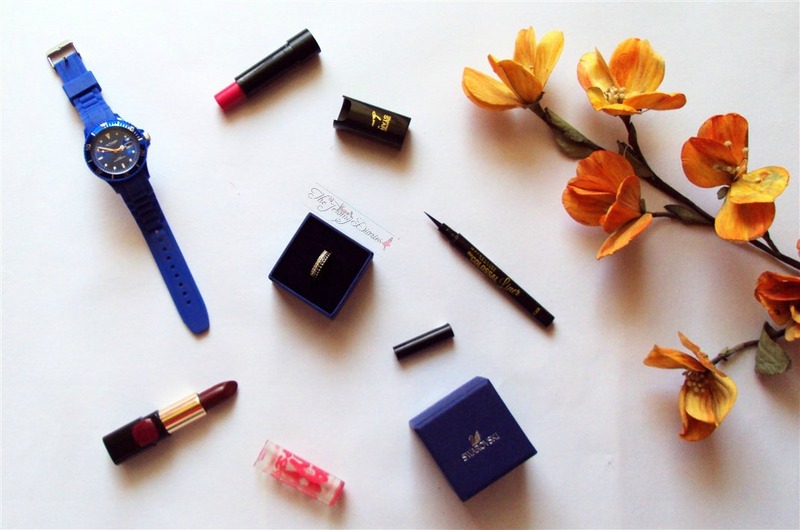 The reason behind not writing any eye product reviews is I hardly use eye shadows and the only thing I use on a everyday basis is eyeliners. 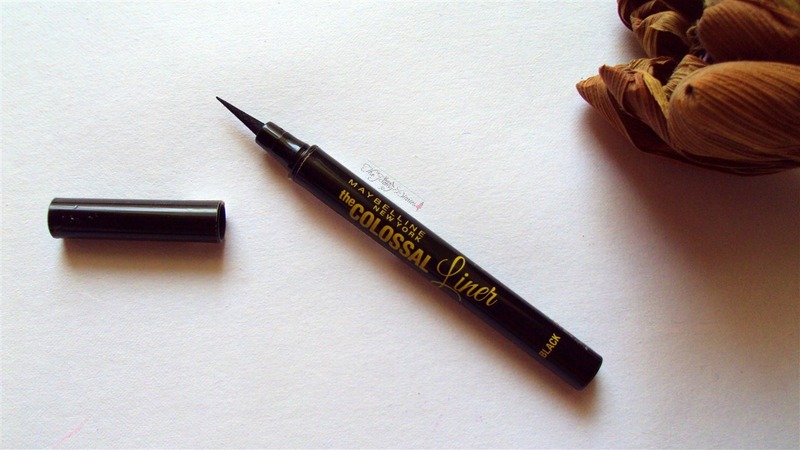 A definite must have in your make-up kit, get your inner Cleopatra out with Maybelline’s Colossal Liner. 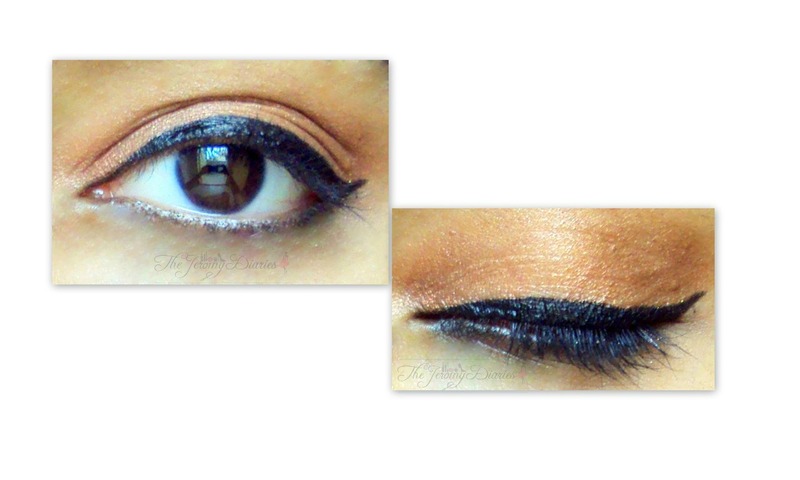 It is the perfect antidote to your eye liner woes! 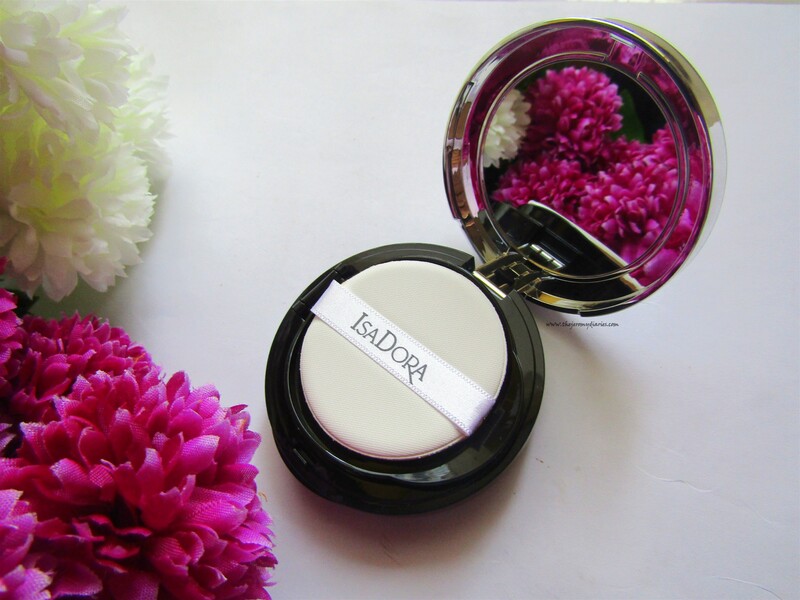 Its smudge-free, quick-dry formula ensures long-lasting bold application. 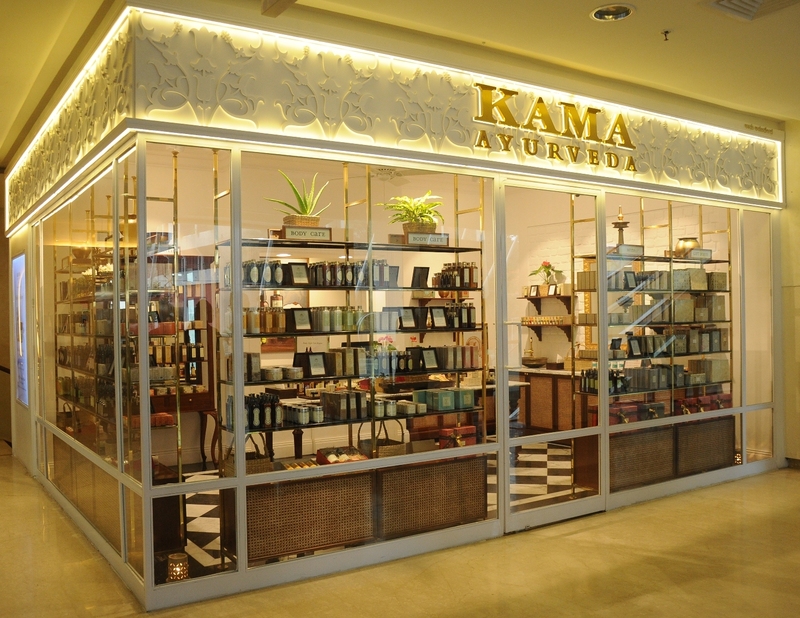 Additional Information : It comes with a 0.4 mm Flexi Tip Applicator which enables error-free and quick application. 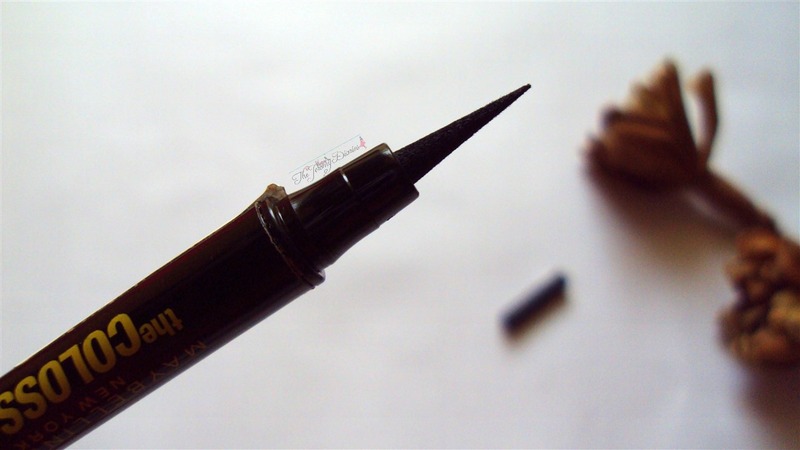 It’s empowered with Ink-pigment technology providing stunning, defining lines as well as intense colour. 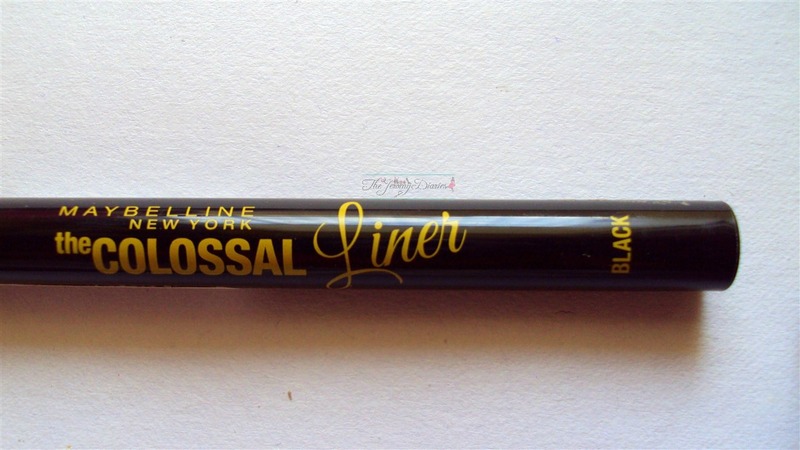 Packaging: I am someone who can never use liquid eyeliners. I have given it a try and never have I been able to master a perfect line with it. 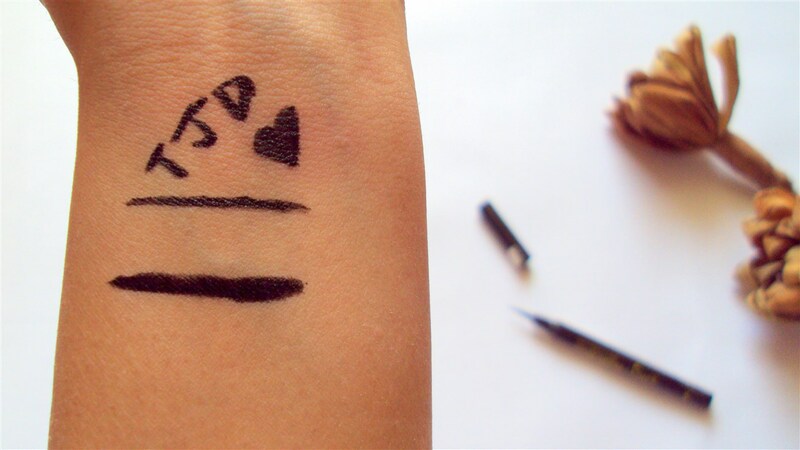 But till I actually get a hang of it, I mostly depend on felt tip eyeliner pens. 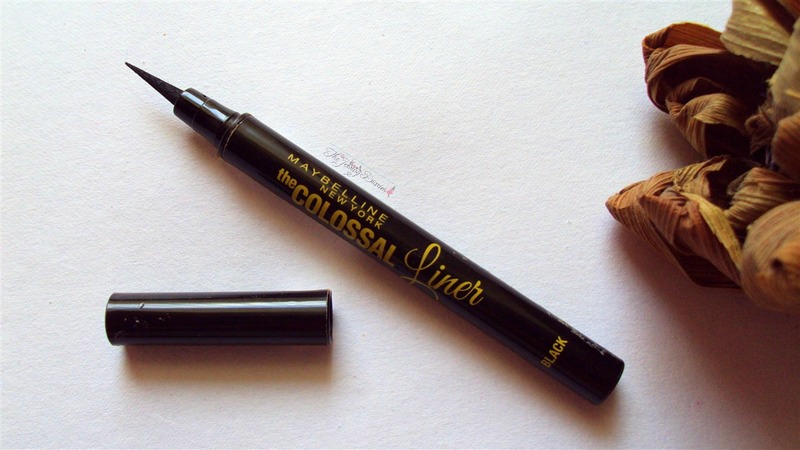 So this purchase didn’t come as a surprise 😛 Maybelline the Colossal Liner in Black comes in a glossy black pen with the fonts written in yellow. 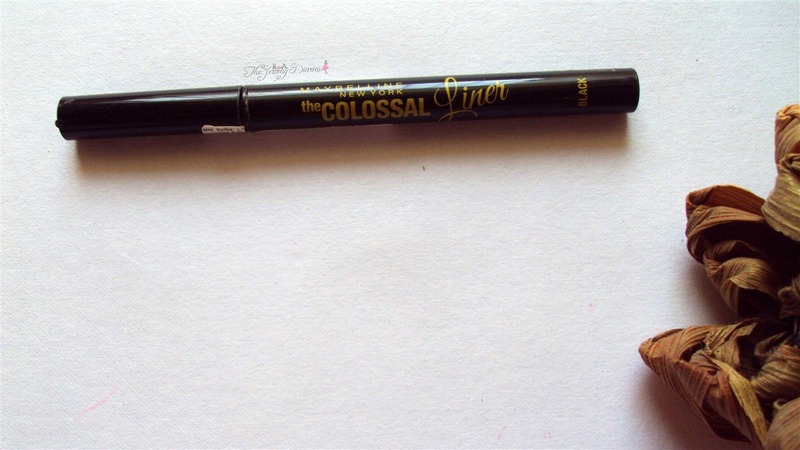 Maybelline the Colossal Kohl Liner was vice-versa. I think they nailed it with the packaging as it’s handy, sleek and travel friendly! 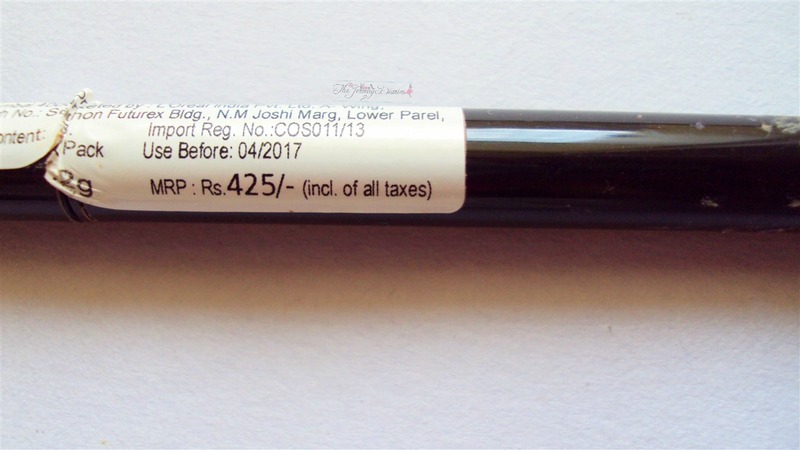 I haven’t had any issues with the cap loosening out or anything else till now 🙂 The tip is made up of sponge so it is safe to use on your delicate eyelids. 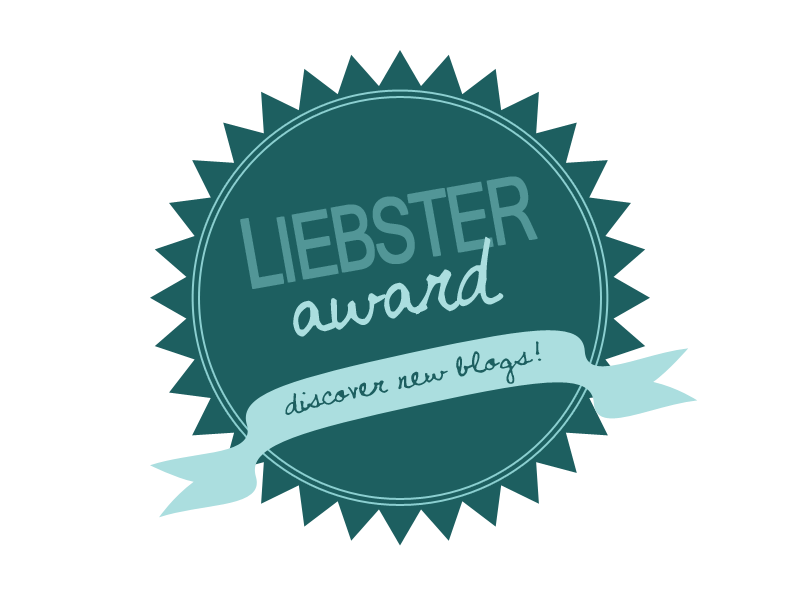 Results: I have been using it non-stop for the last one week and I am head-over-heels in love with it! 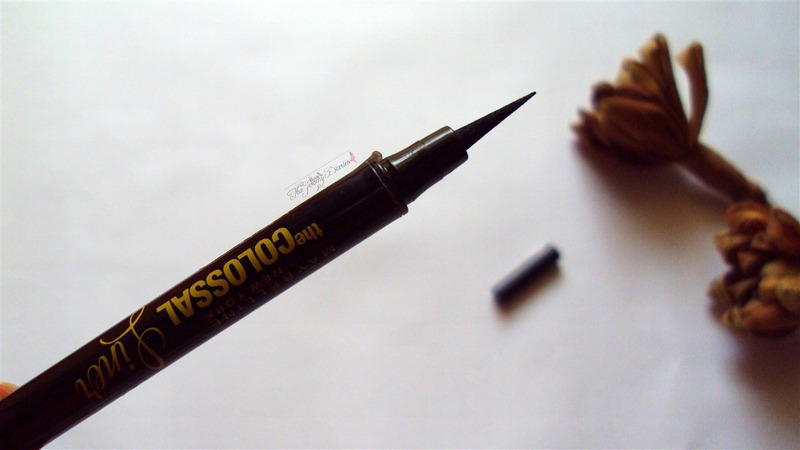 😀 I have used many felt tip eyeliner pens from various brands but this one by Maybelline is hands down the best ♥ It is that intense black eyeliner that I always wanted! 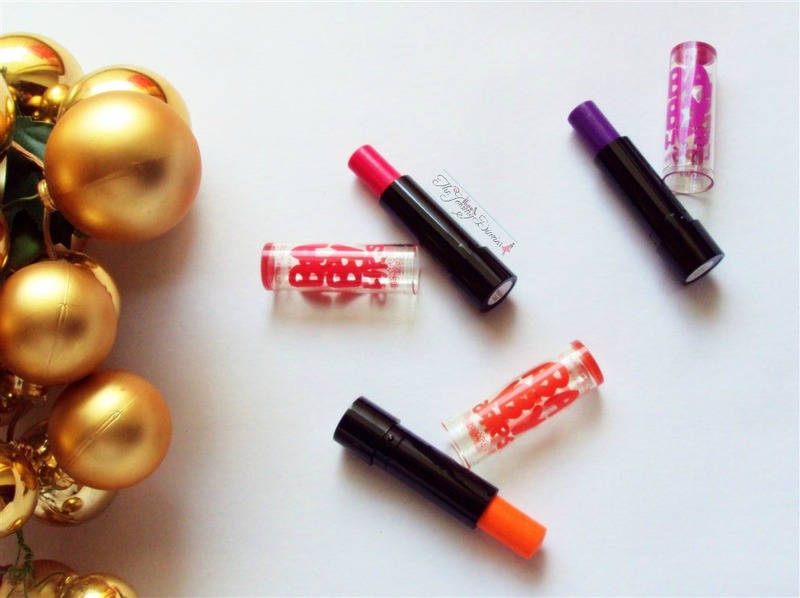 It’s insanely pigmented and smudge-proof! 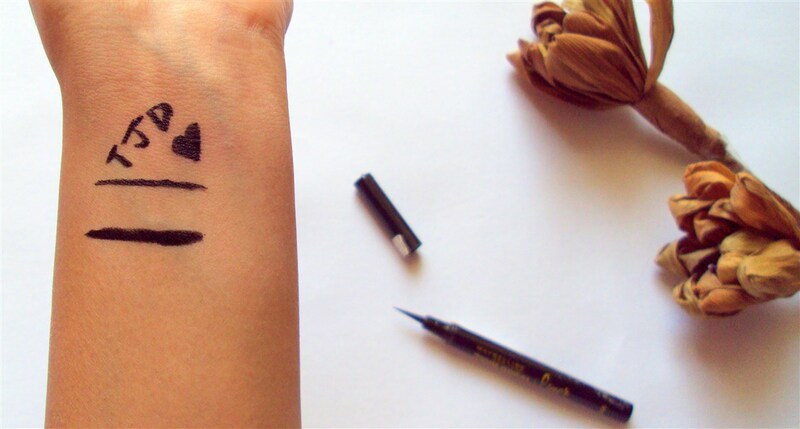 Once you apply, it doesn’t budge the entire day 😀 The eyeliner sets real quick so you will have to be really careful with application. F EPIC fail! Stay away! I’m just about to review it. Looks like a good buy!